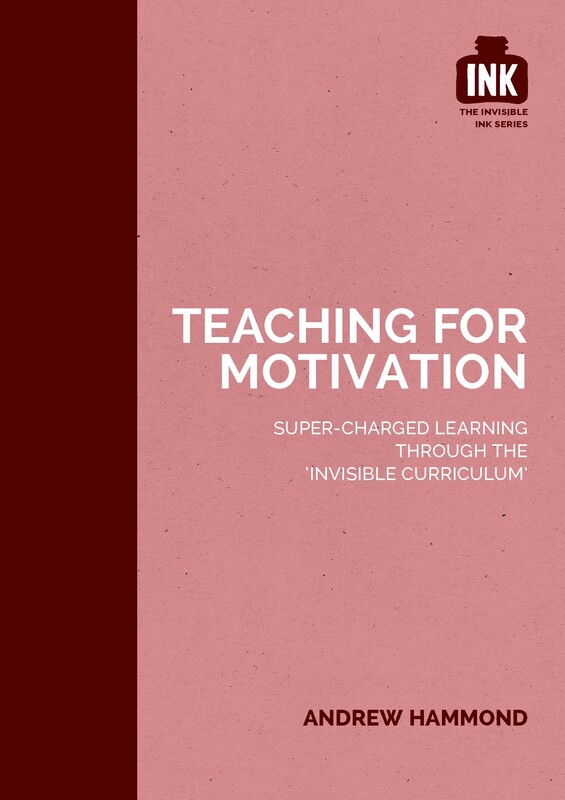 Self-motivation lies at the heart of good teaching and learning. It’s not our skills and talents or even our personality that get us out of bed in the morning, it’s our motivation – whether we’re an adult or a child. This book considers how we can identify, nurture and report on the intrinsic motivations of staff and pupils, thus raising engagement, reducing absenteeism and improving the efficacy of teams and learning groups. Practical ideas and solutions are suggested throughout. Teaching for Motivation is the third book in the Invisible Ink series, in partnership with INK Education, that aims to shed light on the ‘Invisible Curriculum’ and the secret ingredients that really unlock a child’s learning potential. Andrew Hammond is a headteacher, educational consultant, trainer, conference speaker and author of more than 30 educational titles for major publishers.